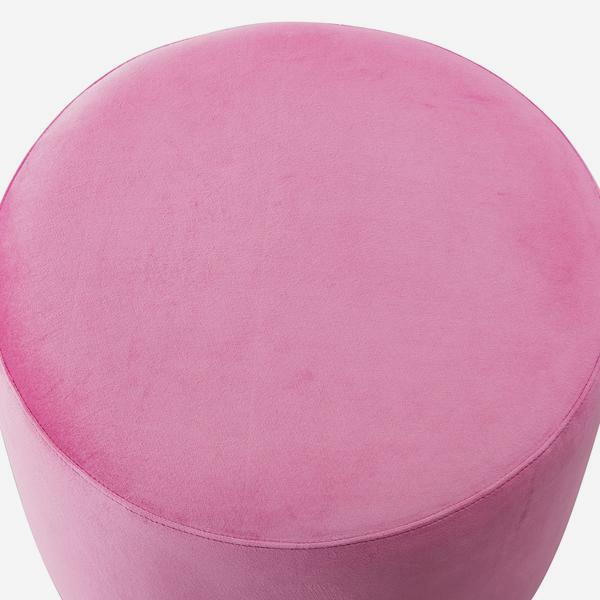 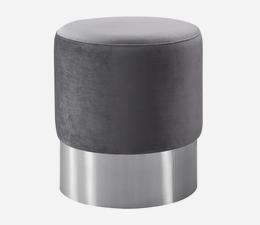 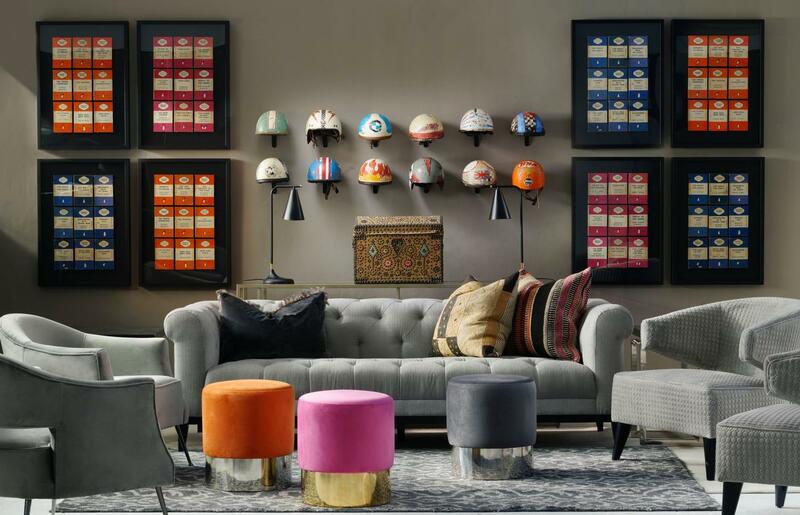 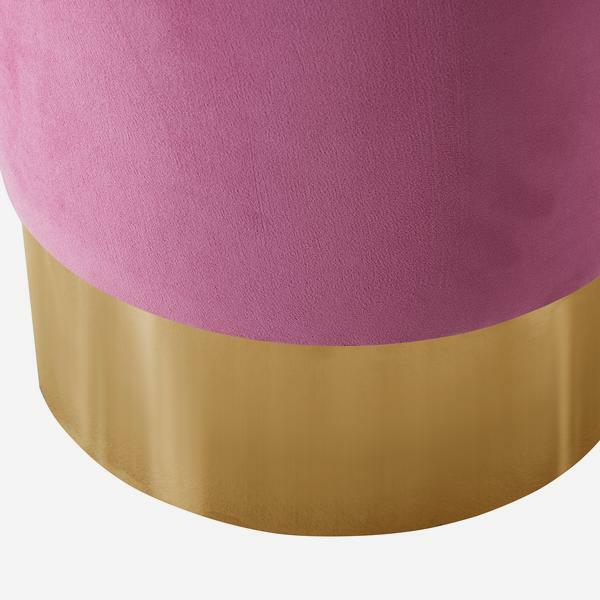 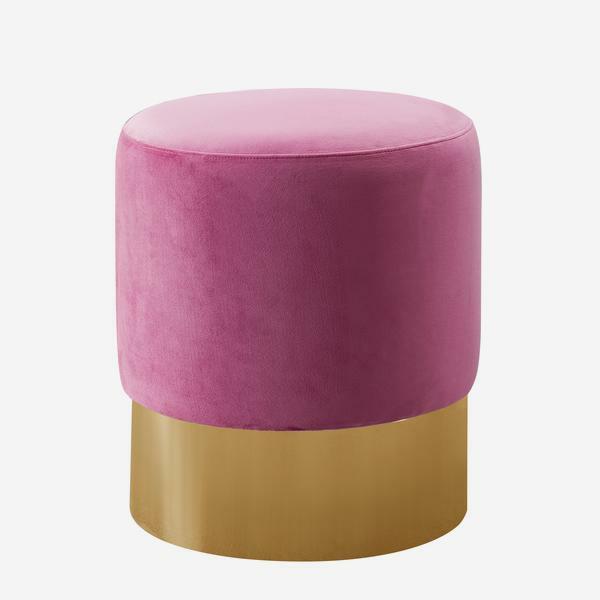 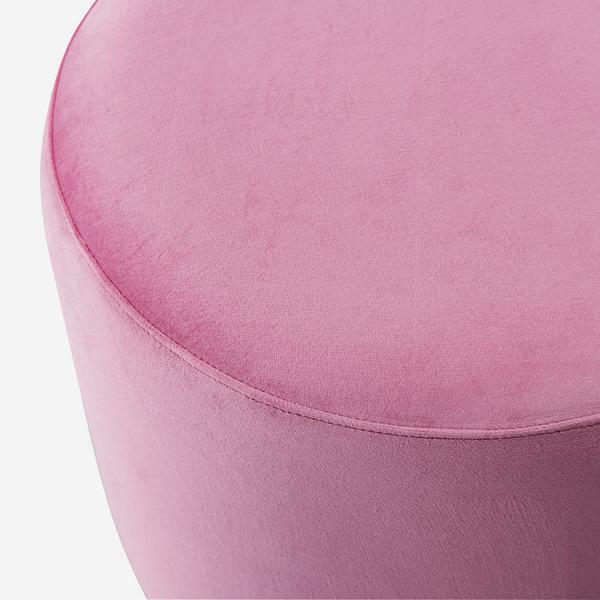 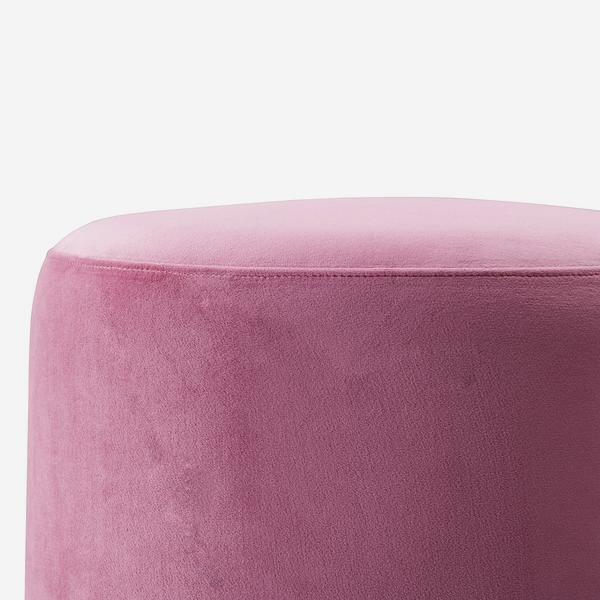 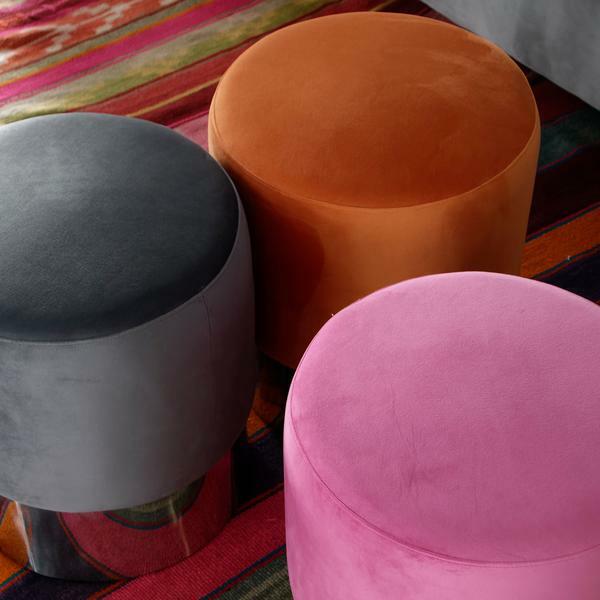 A mid-century stool with an ultra-reflective gold base and bubble-gum pink velvet cushion. 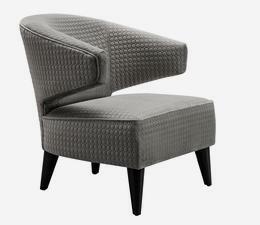 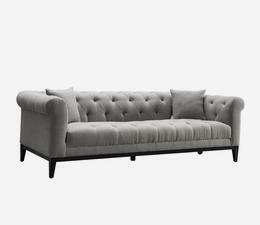 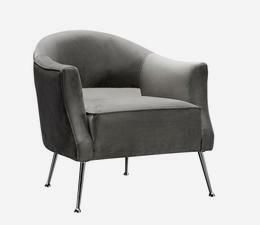 Chandler is a playful, statement piece like a decorative polka dot in furniture form. 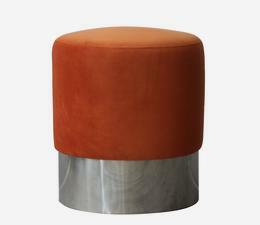 You can almost see Twiggy sitting atop this in a typical 60s mini dress.